Integral Yoga centers in the USA are usually nonprofit trusts, have a central location, and offer facilities such as a library, a meditation room, or meeting rooms as well as regular programs and activities. Centers are sometimes very active in their community and are generally open to all spiritual aspirants. For information on centers outside the USA, see the Miraura website. The Ozark Center is an informal small center that serves as a lending library of Sri Aurobindo’s and Mother’s works and other books on their Yoga, as well as for small group study of Integral Yoga. Participants meet four to six times a year to read and discuss selections from major works on the Integral Yoga and collaborate in applying them in their lives. California Institute of Integral Studies (CIIS) is an accredited institution of higher education that strives to embody spirit, intellect, and wisdom in service to individuals, communities and the Earth. The Institute offers interdisciplinary, cross-cultural, and applied studies in psychology, philosophy, religion, cultural anthropology, transformative studies and leadership, integrative health, women’s spirituality, counseling, community mental health, and the arts. Inspired by the teachings of Sri Aurobindo, which brought the highest values of the East and West together in a creative synthesis, the Cultural Integration Fellowship (CIF) was founded in 1951 by Dr. Haridas Chaudhuri and Mrs. Bina Chaudhuri to promote a dynamic integration of the cultural and spiritual values of all people. Sri Aurobindo had personally guided Haridas Chaudhuri in the writing of his doctoral dissertation on Integral Idealism, taking the time to review and comment on his work. It was at the personal nomination of Sri Aurobindo that Dr. Chaudhuri came to the United States to teach at the American Academy of Asian Studies and to offer public lectures on integral philosophy. CIF evolved from the gatherings at these public lectures and established itself as the first “Ashram” in San Francisco. After Dr. Chaudhuri’s passing in 1975, his wife Bina led CIF until December 2006. Today, CIF continues to offer a rich array of lectures, Sunday morning services, and cultural events. We celebrate holidays of many traditions including the birthdays of Sri Aurobindo and the Mother, Rabindranath Tagore, Mahatma Gandhi, Martin Luther King, Jr., and the Buddha. Founded by Tom Noonan, the library has over 1,000 titles and provides a place for researchers and scholars to study. Please call for more info or to visit. The Sri Aurobindo Center of Los Angeles was founded in 1953 by Dr. Judith Tyberg. Dr. Tyberg was given the name “Jyotipriya” by Sri Aurobindo, which means “Lover of Light” in Sanskrit. The center has a bookshop offering sales of books by Sri Aurobindo and the Mother and by disciples of the Integral Yoga. There is also an extensive reference library of metaphysical books belonging to Jyotipriya as well as books by great poets, writers, scholars and spiritual leaders throughout history. We welcome research scholars and writers of theses to use our library. The center also houses the relics of Sri Aurobindo in a beautiful meditation room that is open to all. The center is located on a quiet residential street in West Los Angeles near the ocean. 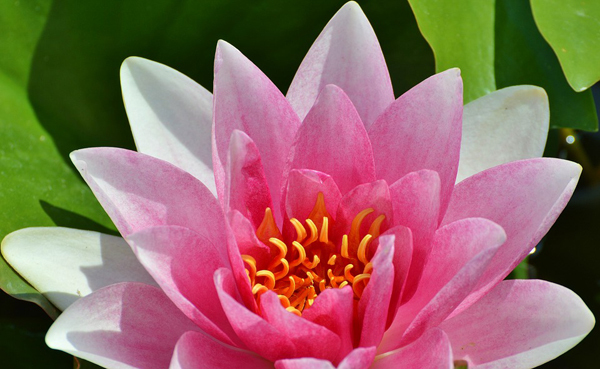 We have a lovely meditation garden with Indian statuary, a lotus/ lily pond, and benches set amongst the peaceful fragrances of the plants and flowers that surround the area. On Saturday evenings from 5–7 p.m. a Satsang is held at the center with readings from Mother and Sri Aurobindo, followed by a group discussion, and ending with meditation in the reliquary meditation room. All four darshans are observed at the center and there are ongoing guest speakers, visitors from the Ashram and Auroville and other centers, and many new seekers who visit us on a regular basis. The center is open by appointment to visitors for meditation and purchase of books and incense. Please call the above number to set up a time to visit. With these ideals as a basis, collective residential facilities are provided for concentrated sadhana in an ashram-like atmosphere. The Lodi Ashram, which houses the Relics of Sri Aurobindo, sits on three acres in an agricultural area surrounded by fields and vineyards. There is a main house and a few outbuildings. The community is self-supporting through sales of books, incense and Ayurvedic products through our business, Auromere Ayurvedic Imports. Karma yoga work-exchange programs are offered and visitors are welcome, though please call in advance to arrange your visit. We host monthly collective yoga retreats, Darshan gatherings, daily meditations, and weekly study groups. We also have an extensive library, host speakers from India, and collaborate with other centers in the region. Though our primary purpose is to maintain a residential community for intensive sadhana of the members, we have an extended family of friends and visitors, especially those who come each month to the retreats, and this aspect of our collective life has become equally important in our work here. Daily: Evening meditation / reading from 8:00–8:30 p.m.
Weekly: Study groups on Sri Aurobindo and the Mother’s works. Currently Monday, Thursday, and Friday from 7:00–8:00 p.m. Monthly: On the third Saturday of the month, we have a collective yoga retreat from 10:00 a.m.–9:00 p.m. The day’s activities may include talks, presentation, experiential activities, collective meditation, karma yoga, potluck meals, volle ball, Om choir, and study / discussion groups. Children are welcome; we are attempting to organize appropriate, inspiring activities for children in collaboration with parents. Darshans and other special days: Special meditation; call or email for details. Sri Aurobindo Sadhana Peetham is a non-profit, tax-exempt organization. Started on August 15th, 2009, under the auspices of Sri Aurobindo’s birthday, Sri Mirambika Dhyana Mandir is a spiritual center dedicated to Sri Aurobindo and the Mother’s teachings. We are located in Lathrop, near the Highway 5 and 205 intersection. For programs and activities please contact us. The Sri Aurobindo Learning Center is located in Crestone, in the sacred San Luis Valley of southern Colorado. Our valley is the ancient home of the Anasazi and the emergence point of the Tewa pueblo people. Many Indian tribes have hunted and lived, over the centruies, in this holy area which Tibetan lamas say is very close in vibration to Tibet. The Sangre de Cristo Mountains are famously beautiful and powerful and the Learning Center rests on the mountainside at 8,200 feet. Crestone itself is a community of retreat centers, with lectures, music, and ceremonies open to all. The Savitri House library contains an extensive collection of Sri Aurobindo and the Mother’s work, including many books by disciples. The center was estabished by Seyril Schochen in 1986. Seyril’s love of Savitri continues on after her passing with readings and a communal meal every Tuesday evening. We have also begun a bimonthly Sunday study group on The Future Evolution of Man. Each summer Rod and Kirti Hemsell offer Savitri Immersion workshops in the brightly refurbished Solar Meditation Dome. Solar Bridge Guesthouse is now complete inside and accommodations are available in a fully equipped home with an unparalleled view of the mountains. Please inquire for program details. The Integral Knowledge Study Center was formed in 1979, when a visit from India by M.P. Pandit and Vasanti Rao brought together a number of seekers into a collective endeavor of study, meditation, and inner growth. The overarching goal of the center, in harmony with the vision of Sri Aurobindo and the Mother, has since been to aid in the discovery of the secret soul of delight that dwells within each person, and to promote the integral perfection of life that can flow from this discovery of authentic being. A number of activities support this spiritual search, but the core of the center’s collective life is a weekly study group that meets on Sunday evenings. Appropriate books drawn from the extensive literature of Sri Aurobindo and the Mother serve as the focus of these meetings, where probing, positive discussions among the participants enhance clarity and lead into a concluding group meditation. Other collective talks and studies encouraging and fortifying yogic practice are also open to the public. Among the resources available through the center is a website called the Peacock Page, iksc.org. Our newsletter The Peacock Letter, as well as articles, talks, music oriented to the Integral Yoga, and excerpts from books are downloadable there. Personalities and authors as diverse as M.P. Pandit, A.B. Purani, Robert Kleinman, Vasanti Rao, Jayanti Rao, and Rand Hicks are represented. Audio files and video clips are frequently posted. The center’s library of 10,000 volumes covering a wide range of subjects is open to aspirants daily. Most out-of-town visitors to our center stay at our two guest houses, where they find room and facility for meditation, study, and yogic practice. The guest houses are available year round. The center holds two collective meditations each day, one in the morning at 6:00 a.m., the other in the afternoon at 5:30 p.m. We read from Savitri after each afternoon meditation. We mark the four Darshan dates in the Sri Aurobindo Ashram’s calendar with special gatherings, meditations, and programs in which people from around the country participate. Too, we enjoy a collective midnight meditation each New Year’s Eve. Among other public offerings are weekend seminars and workshops covering a wide variety of themes relating to spiritual life, the viewing of significant films dealing with the growth of consciousness, and the occasional sponsorship of guest speakers. You’re welcome to join us for any of these. On August 15, 1983, Sri Aurobindo’s Relics were inaugurated at the center. It marked the first time that the Relics had ever left India for another country. For many seekers in America the Relics offer profound significance and continuing inspiration. The center also edits and publishes books as well as newsletters and articles. The Sri Aurobindo Center of Boston was founded 40 years ago by the late Eugene “Mickey” Finn as an informal group for reading Savitri and meditating. Mickey’s wife, Mary “Angel” Finn, has kept the center going at her residence with the help of faithful devotees. We offer Darshan services, weekly Wednesday night meditations, explanation of the yoga of Sri Aurobindo and the Mother, and special organized functions. The Integral Life Center was founded in the 1970s by Madhav Pandit. We meet weekly and are currently studying Sri Aurobindo’s Essays on the Gita. We gather on Darshan days, have a multimedia library, and sell books and incense when requested. We provide hatha yoga classes and talks on Sri Aurobindo and the Mother’s works in the greater Columbia, Missouri, community. Visitors and new members are warmly encouraged to all of our activities. Cal for times and directions. Founded in 2000, we meet once a month and on Darshan days for meditation and children’s activities with focus on self-realization and manifestation of Sri Aurobindo and Mother’s works. We also study via conference calls. Founded by Dr. Jagadish Vyas, the aim of Sri Aurobindo Yoga Foundation is to be a place for individual and collective transformation through Integral Yoga, as well as to disseminate knowledge of the work and teachings of Sri Aurobindo and the Mother, their ashram in Pondicherry, and Auroville. We have been active in the tri-state area of New Jersey, New York, and Pennsylvania since 1999. We share books and artifacts from the Sri Aurobindo Ashram, Auroville, and other centers, and arrange for gatherings, lectures, and celebration of Darshan and other significant days. We also participate in activities of other Sri Aurobindo groups, and aspire to develop an Integral Yoga center with residential facilities, library, and meditation hall. We are opening a library/meditation room to invite friends of Sri Aurobindo and the Mother to meet and share and practice sadhana collectively. We have two guest rooms with a shared bathroom and a collective living room, dining room, and kitchen. We also provide Ayurvedic treatments and panchakarma retreats. We have a daily meditation at 6:30 a.m., with prayer and meditation nightly at 8:00 p.m. We have a weekly meeting on Wednesday from 6:00–8:30 p.m.
Matagiri was founded in 1968 as a center dedicated to the Integral Yoga of Sri Aurobindo and the Mother. Nestled in the Catskills near Woodstock, it consists of a cabin where Julian and Wendy live, clustered with other small buildings: a sanctuary for meditation, a library, a gallery, and a bookstore that includes many used and out-of-print editions of books by Sri Aurobindo, the Mother, and disciples. A weekly reading and meditation is open to the public. Visitors are requested to call in advance to use the library and sanctuary. A number of special events and the Darshan days are observed throughout the year as well as lectures, cultural events, and karma yoga days. Julian also serves on the Board of Auroville International USA and helps channel funds for projects in Auroville. Wendy Lines teaches hatha yoga and has regular classes at Matagiri. This nonprofit organization was founded in 1993 to provide an opportunity for group meditations and Darshan gatherings, to learn and exchange knowledge and experiences of Sri Aurobindo and Mother’s grace and powers, and to establish a permanent study group so as to be a part of Mother’s extended family of centers. Each year, the Center hosts a Sri Aurobindo Integral Yoga Retreat. In 2018, the La Grace Integral Life Center was established at 2824 Knighton Chapel Road, Fountain Inn, S.C. – just 30 minutes from the Greenville-Spartanburg International Airport. This 300-acre Center is an Integral Yoga spiritual retreat and educational center. It serves as a learning and experiential place for followers of Sri Aurobindo and the Mother as well as Seekers to come together in the exploration of Integral Yoga. La Grace facilities include a Welcome Center with meeting space and mediation room. Guest lodging and dining (capacity 75-100), fitness and yoga studio, multi-functional lecture hall and meditation room are planned for late 2019. As well, retreat guests will be able to take advantage of many outdoor events, such as field sports, nature walks and lake activities. This center was originally started in India and later in the U.S. by Arun Amin with Sri M.P. Pandit’s blessings. It offers satsang and meditation on Darshan days and when out-of-town devotees visit. Activities include talks on Sri Aurobindo’s yoga; satsangs, yoga, and meditation seminars conducted at the center and other institutions by Pavitra and Bharati Amin; publishing related books, audios, and videos with Om Music and Yoga-Bharati. The center contributes funds to Matrimandir, the Sri Aurobindo Ashram Trust, and Dipti Trust in Pondicherry. We also sponsor free distribution of the books of Sri Aurobindo and Mother to libraries, universities and other institutions. First organized in 1981, the Wilmot Center maintains a meditation hall and is a gathering place for devotees and sadhaks of the yoga. Offering Darshan services, meditations, an extensive library of the world’s wisdom literature, book and other sales and educational programs, Wilmot Center operates through several departments to carry out its varying activities. Primary among these is the Institute for Wholistic Education, a not-for-profit corporation that maintains an extensive library of more than 6,000 volumes as well as sponsors various correspondence courses, with particular emphasis on Ayurveda and alternative health. The institute also helps provide funding to various projects related to the work of Sri Aurobindo and the Mother and provides a tax-deductible opportunity for donors who seek to aid in these projects. The Institute provides its operative functioning on a volunteer basis, thus enabling a full 100% of all donations to be channeled to the projects earmarked by the donor, with no money withheld by the institute for its own operations whatsoever. Wilmot Center hosts visitors from around the world frequently and has limited guest facilities. Meditation and study readings are part of the activities, as well as “one on one” meetings with interested individuals. The library is a major attraction for visitors. The institute is currently focusing on developing systematic “study guides” to the major writings of Sri Aurobindo. The institute publishes and distributes books by Sri Aurobindo and other authors, and imports and distributes incense and thousands of products in the field of alternative health, wellness, and spirituality.